We all know red roses mean love, and white roses mean marriage and new beginnings, and yellow roses have come to mean friendship. but what do black roses mean? In the language of flowers, black roses signify death, or supreme hatred. 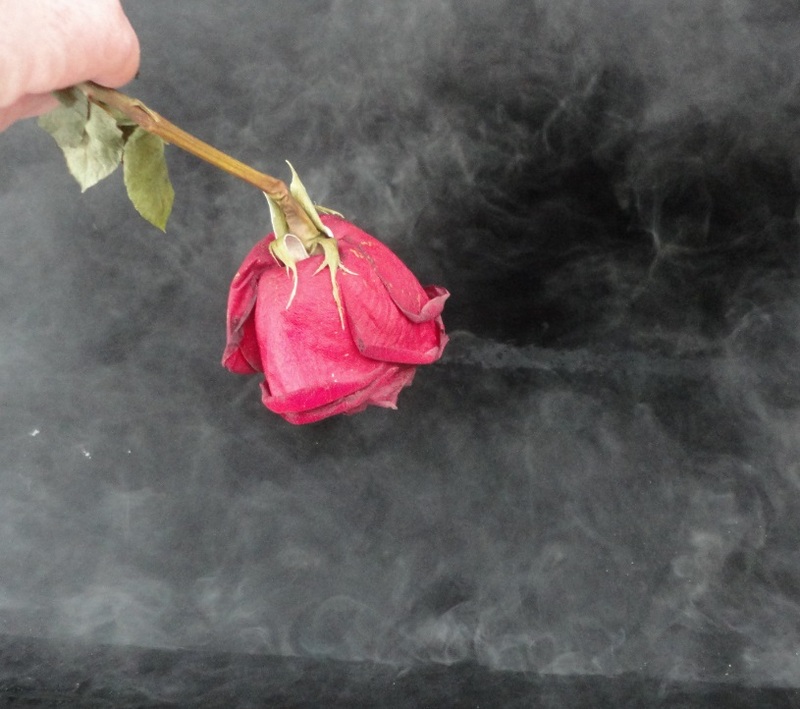 So giving a black rose on Valentines Day can be delightfully rude. But one look at these black beauties and all hatred disappears, because they’re just so freaking beautiful. Black roses can mean farewell, rejuvenation or even rebirth. 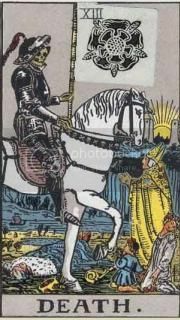 It can also mean overcoming a long period of calamity, or personal illness, or a journey from which the traveler does not expect to return. Another interpretation is ‘pure devotion’ since a true black rose is impossible to produce. But not so impossible if you know a friendly flat roofing contractor in Toronto who has hot tar pots ready for rose dipping. First I bought a dozen red roses at the local flower shop from a florist who insisted she had no old flowers for sale, and everything was always fresh for $20 per dozen. And instead of giving them to a girl or my mother, I kept them at home in my oven. 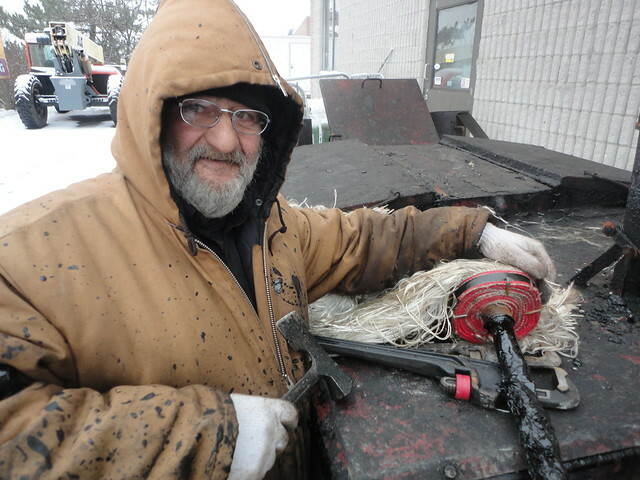 On a cold January morning, I took the wilting flowers to a flat roofing job site where there were two industrial size mobile tar pot trailers full and steaming with over a 1000 lbs of liquid bitumen, some of which I can still smell on my jacket. Here I met Dave, my star. 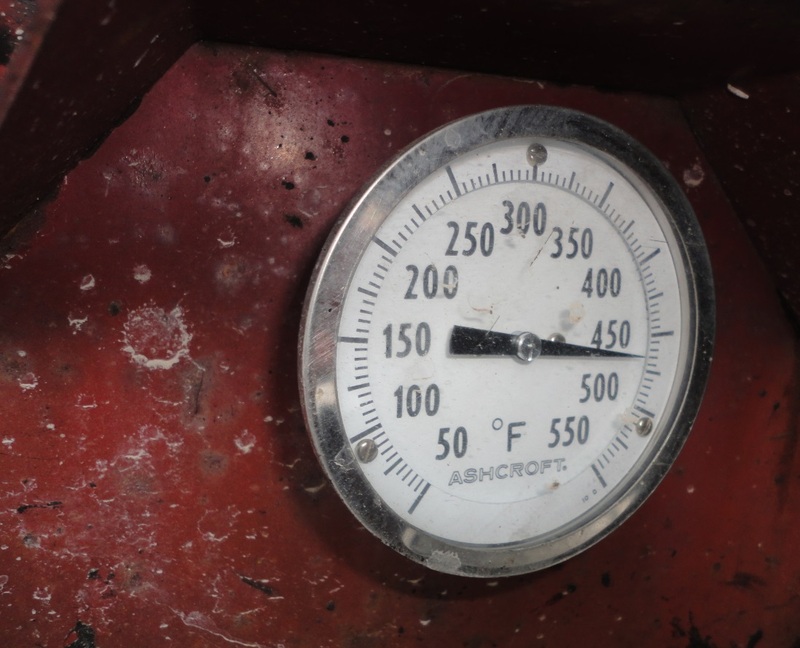 The propane fueled boilers are heated to almost 500 degrees, and when Dave opens the lid the molten black liquid steams in the cold air. 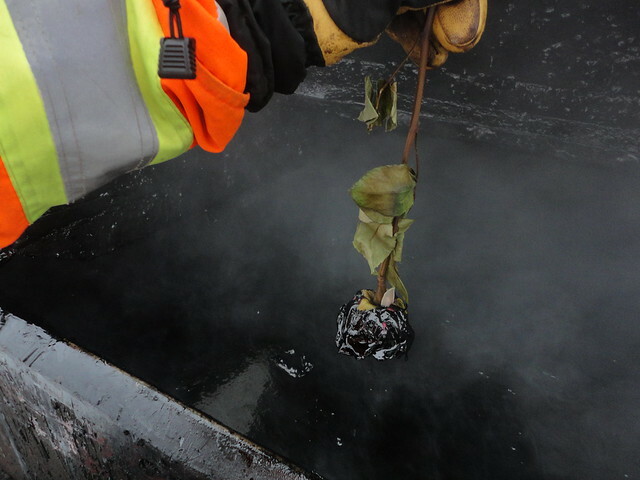 The toxic fumes cause the rose petals to curl up and the red flower turns slightly blue just seconds before the bitumen dip. 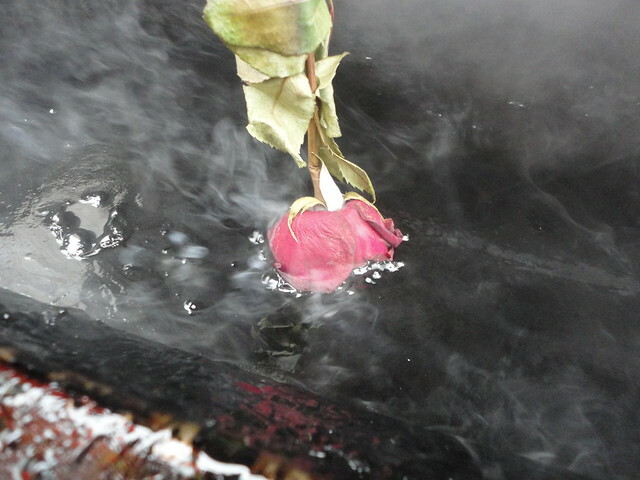 The red rose bubbles and sizzles as the molten bitumen mummifies the flower into a solid black masterpiece. 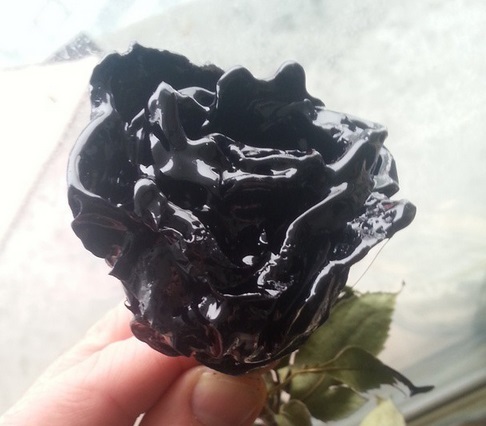 Just to be clear, this not a tar dipped rose at all, as these roofers are using petroleum bitumen, and not coal tar. Petroleum based bitumen is often confused with tar and even these roofers call it tar, and they call their boilers tar pots. Although bitumen and coal tar are similarly black and sticky, they are distinctly different substances in origin, chemical composition and behaviour. I would like to try dipping roses into coal tar to see the difference, but it would be hard to improve upon the results obtained with bitumen. The finished product is a hard shell black rose that is very becoming and will of course last forever… but I wouldn’t put it in the window. Click here if you are interested in purchasing Black Roses for your someone special. Is Technology Hindering Our Love Lives? I think this needs wholesale carnations.